Do not allow physical or sensory obstacles block your enjoyment on your seaside vacation. 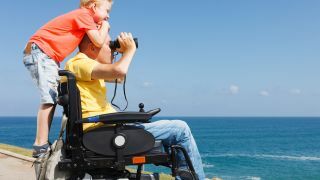 Portorož and Piran offer disabled - friendly facilities for people using wheelchairs or other movement facilitating accessories. The easily accessible tourist facilities are also, of course, the recommended choice for all those travelling with children in prams, elderly people as well as people with other medical issues. A complete list of premises with disability access. Easily accessible but still breath-taking. The sun and the sea are easy to reach. Specialized shops that take care of your health and well-being.